In the late 1960s the US and Federal Republic of Germany decided to pool their efforts to create a new joint design main battle tank. 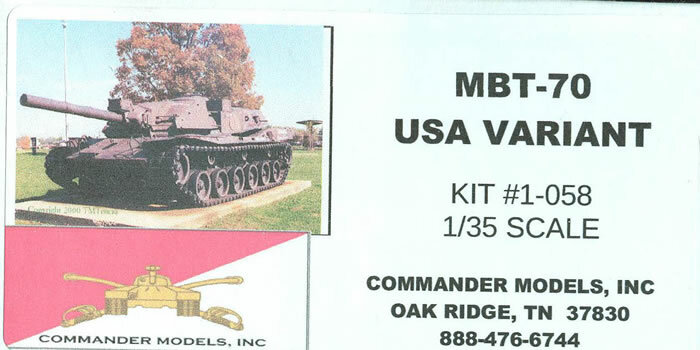 Designated the MBT 70 project, engineering design work began in Detroit in 1966. The new tank combined a large number of innovations: spaced armor arrays at the front of the hull and turret, a variable height hydraulic suspension, a 152mm gun/launcher firing the Shillelagh missile, a 26-round autoloader in the turret bustle which could be reloaded from ground level, internal radiation shielding, a variable compression diesel engine, and a lower hull depth created by installing the driver’s position in a gyrostabilized capsule in the turret (ensuring he was always facing forward no matter which way the turret pointed). Right off the bat, the Germans had other ideas, as they wanted to go with a high-powered 120mm smoothbore gun as well as a 1500 HP DB diesel engine instead of the Continental variable compression AVCR-1100 engine in the US tank. The variable suspension in the US version permitted it to be raised to 29 inches of ground clearance or lowered to 5 ½ inches; 17 3/4 inches was normal running height. The German one had three fixed settings but also could be varied by turning a knob. Diehl 170 25" tracks were standard on both countries’ prototypes. Things did not go smoothly, as it was soon found out that the driver tended to get nauseous when the turret was turning while he was driving the tank. US tanks apparently suffered more turret and engine problems than their German counterparts as well. But after four years of testing the US and Germany broke off joint development on 20 January 1970. The Germans turned to developing what became the Leopard 2, and after an attempt to make a simpler (and cheaper) MBT 70 design as the XM803 tank the US took its knowledge and used it to develop the XM1 Abrams tank. Commander Models has now released a completely resin (e.g. no etched brass or other materials) kit of the MBT 70 full up prototype tank. This comes with the early test bore evacuator, fire control system, and pre-production layout used on the later prototypes. As noted it is still a “craftsman” kit in which the modeler must provide some items on his own, such as brass wire or plastic rod for the headlight guards, hand holds and turret basket; Commander Models does provide a turret bustle rack former for bending the wire and/or soldering it together. While the kit suffers the usual slings and arrows of air bubbles they are not excessive and easily repaired with ACC cement or putty. Commander Models has made the big suspension units as one solid strip per side that attaches to the lower hull; while it lowers some definition this actually is not a bad idea, as it permits all six units per side to be attached at once and be in alignment. The road wheels block out a view of most of the mechanisms anyway so it is not a big deal. The turret also includes the big hatch for the autoloader molded in place (the turret was to be rotated 90 degrees, the hatch lowered, and mechanics could rearm the tank in a few minutes from ground level). The directions are rather spartan, and one part which is not called out in the directions is actually quite useful. A long block of solid resin is included with no comment given, but when measured and compared to the needs of the kit is actually a suspension gauge to permit the modeler to “set” the angle of the road wheels and road wheel arms to get the 17 3/4" ride height of the actual tank (12.9 mm in 1/35 scale). Note that the road wheels must be sitting on the track to do this. None of the hatches are separate parts (less the driver’s hatch, but that is the complete assembly so the modeler may permit it to rotate to replicate the original’s movement with the turret). This also includes the curious Rheinmetall 20mm cannon mount at the left rear of the turret, which is cast in the “closed” position. It will be quite difficult to open this up and erect the weapon into firing position, as that also would call for having to scratchbuild the entire gun mount as well. The external fittings are not called out or shown in the directions, and in view of the fact that the eight pilot tanks apparently had few totally standardized fittings it is not a surprise. These include handholds, hand grips, and the smoke grenade launcher guards at the rear of the turret (only pilot 4 seems to have mounted them). I have a copy of R.P. Hunnicutt’s “Abrams: A History of the American Main Battle Tank Volume 2" but there are other references out there which can prove useful, as well as the Internet. Note that the front section of the upper hull has a sharp upward slant; this is not warpage in the molding but a feature of the original design caused by the need to avoid “track slap” from the variable height suspension. No finishing directions are included, as the tanks never got past test and evaluation operations. Paint was the semi-gloss dark olive drab (FS 24087) used at the time. Markings are rather spartan – white serials with TEST over U.S. ARMY markings on the rear of the hull with the registration numbers below them. Registration number 09A 005 67 was that of Pilot 5; apparently the entire lot were given serials 09A 001 67 to 09A 008 67. Note that some vehicles also received the “O” markings for Ordnance testing which are black on a white field, applied to the bow, turret sides, and in front of the serials on the rear flanks. Overall this is a cleanly executed kit and with a set of the recommended AFV Club tracks (AF35012, which are the “Big Foot” tracks for an M1A1 but look the part) should be a nice addition to a “Cold War” armor collection. Thanks to Ted and Jon from Commander Models for the review sample.